Shop ‘til you drop with the Portola Hotel & Spa! 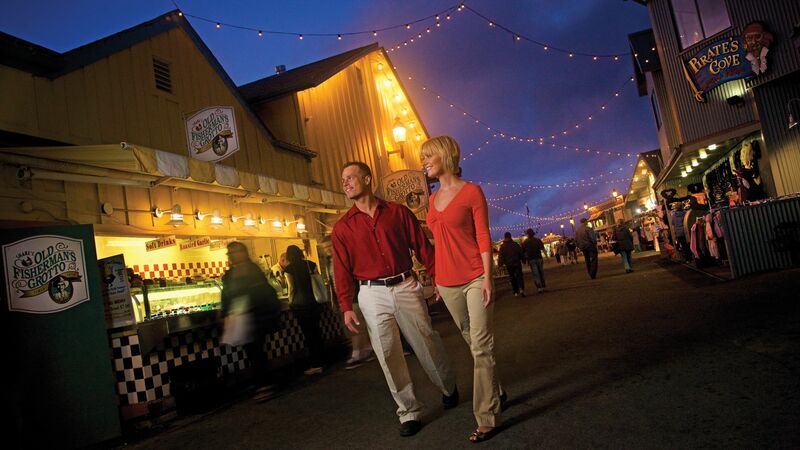 Shopping in Monterey Bay ranges from outlets to luxury shops, bookstores to boutiques, and more. Use our Monterey, CA shopping guide for an insider’s look on the many souvenirs you can bring home from your stay in the Bay. The Cannery Row Antique Mall is the largest antique dealer on the Central Coast with a total of 21,000 square feet and 150 dealers. Housed in a refurbished building that once housed the Carmel Canning Company, this Monterey shopping center specializes in antique furniture, jewelry, silver, crystal, china, glass, art, books, toys and vintage clothing. Located one block past Aquarium on Ocean View Blvd, these outlets are open seven days a week for unique shopping in Monterey. Located one mile past ocean avenue. From Highway 1, you will turn left onto Carmel Valley Road, then turn right at Rancho Blvd., and turn right at Carmel Rancho Lane. Go one block into the Barnyard. Located on Munras Avenue in Monterey, Del Monte Shopping Center features over 100 specialty stores and shops from Macy's to Pottery Barn. Carmel-by-the-Sea is about one square mile in size but features over 60 art galleries, a variety of unique shops, and some wonderful restaurants. 50 minutes away from the Portola Hotel on Highway 101. The Gilroy Outlets have over 145 outlet stores.